It’s an ever-changing world and the old method of installing software on individual computers and servers is quickly going the way of the floppy disk. Software hosted in the cloud is the new way of doing business. Black Mountain Software (BMS) products are hosted on the BMS Cloud, allowing our clients to utilize a powerful infrastructure, resources, and services that surpass their local limitations. 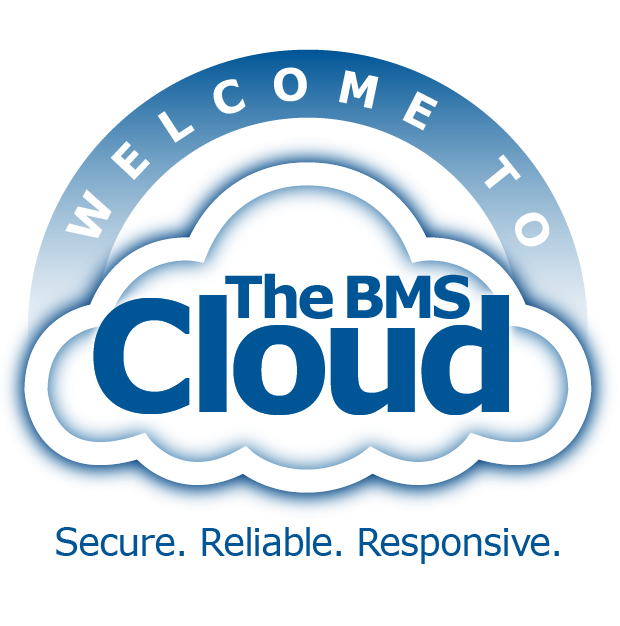 The BMS Cloud is based on Terminal Services access to a cloud server hosting our clients’ applications and data, independent of local network, workstation or user configurations and hardware. All you need is a stable internet connection and you’re freed up to simply use the software. You have no, or limited access to, IT support. You do not already have a server available, or the resources to manage one. You need to access applications from multiple sites or internal networks. You need to be able to access data securely from off-site. You are working with older hardware. You do not already have a robust offsite backup plan. Your network is not secure or very stable. You are concerned with data security. Your network is not well protected from malware intrusion. All your network hardware is not running on functional battery backups. You have frequent power outages or severe weather. The most reliable, secure, scalable, and responsive Cloud experience for our clients is provided by our selection of Amazon AWS to host the BMS Cloud. Access BMS applications from outside locations when necessary. Speed of application is not dependent on local on-site hardware. Does not conflict with existing software or drivers. No need to implement and manage server-based security of applications or data access. Requires only a stable internet connection. Nightly backups are handled by BMS. Updates are handled by BMS. Data no longer travels through a local area network, providing unmatched stability. Less susceptible to being hit with a virus because primary malware vectors, browser and email, are not allowed on the cloud server. One wrong click on a URL or email will not infect BMS applications or data. Fast and easy recovery from errors. The worst possible case would be the previous night’s backup. Non-BMS applications run faster due to decreased network loads. BMS applications are launched from a dashboard accessed by a single workstation shortcut. I just wanted to let you know that now that I'm on the BMS cloud, saving reports from Black Mountain in the PDF format is exceptionally quicker. It is a wonderful improvement for us.